When there’s concrete to conquer, MEDUSAW™ makes the job a whole lot easier. It’s the world’s first fully integrated saw designed specifically for scoring and cutting concrete accurately. Forget modifying an old saw. 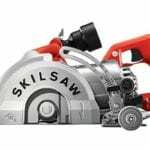 This one’s got our legendary SKILSAW® worm drive power train, plus a unique Cut-Ready™ adjustable plunge lock and a pivoting pointer for unmatched precision and convenience. Used wet or dry, the dual integrated dust management system takes dust out of your way. And rust resistant brackets and fasteners resist corrosion for long life. Armed with MEDUSAW™, you’ll power through the toughest concrete jobs. 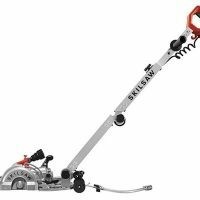 It’s all part of the performance legend that is SKILSAW®.